The sun is shining, food is plentiful, you are being groomed for over 30 minutes, no deadlines, no alarm clock. 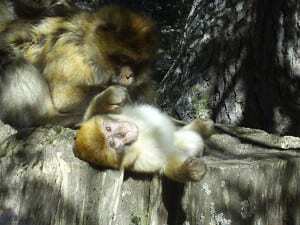 Ah, the peaceful life of a Barbary macaque. Until…a high pitched alarm call breaks the silence. DOGS! 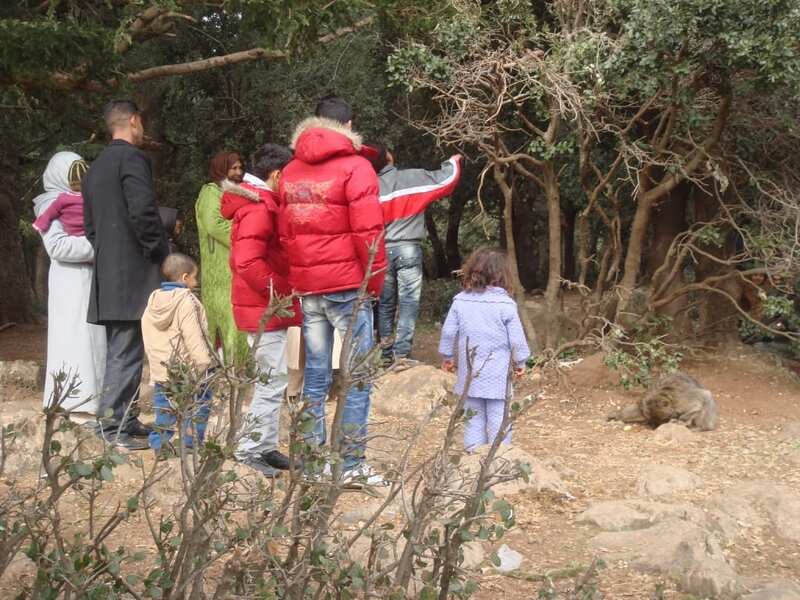 In less than two seconds the whole group is seeking refuge in trees, vigilantly looking for the intruders. 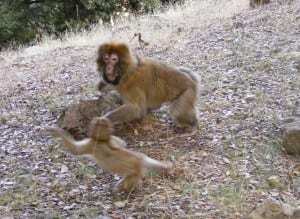 On the ground, three sheep dogs are roaming about, panting and wagging their tails, franticly trying to reach a monkey, any monkey. In the distance you see the Berber shepherd with his flock of sheep. 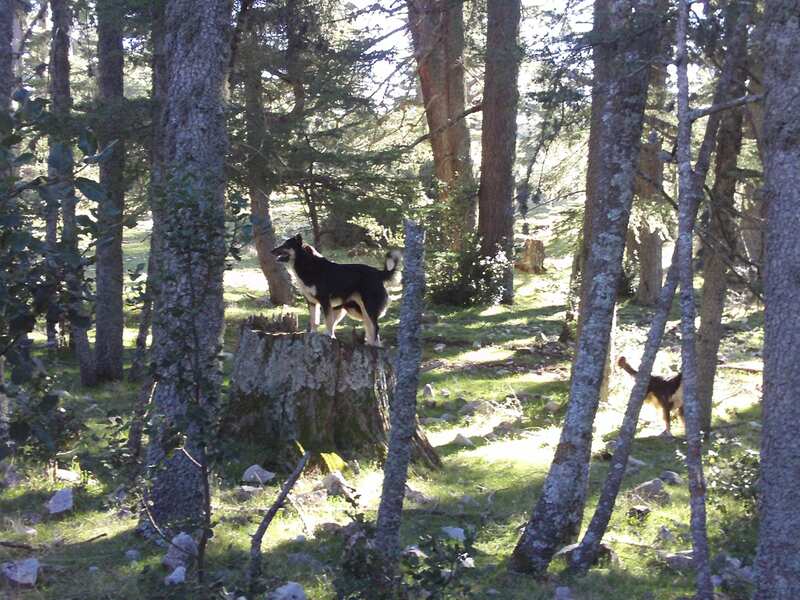 There are also other disruptions to the tranquillity of the forest. Tourists will also occasionally stop by the Green group. After a couple of photos they are usually satisfied and will leave. Other times, the disruptions come from conspecifics; either from intergroup encounters, or simply intragroup conflicts, like a food dyadic. Imagine that you are on your lunch break and just about to stick your teeth into a juicy apple or a tasty sandwich you prepared for ages, and all of a sudden your older sibling or aunt come charging at you in full speed with a look that can only be interpreted: THAT´S MINE!! YOU BETTER RUN! And what do you do? Well, you drop the tasty treat and run for your life, trying to get support or a bit of sympathy from the others around. But nothing. You´re ignored. 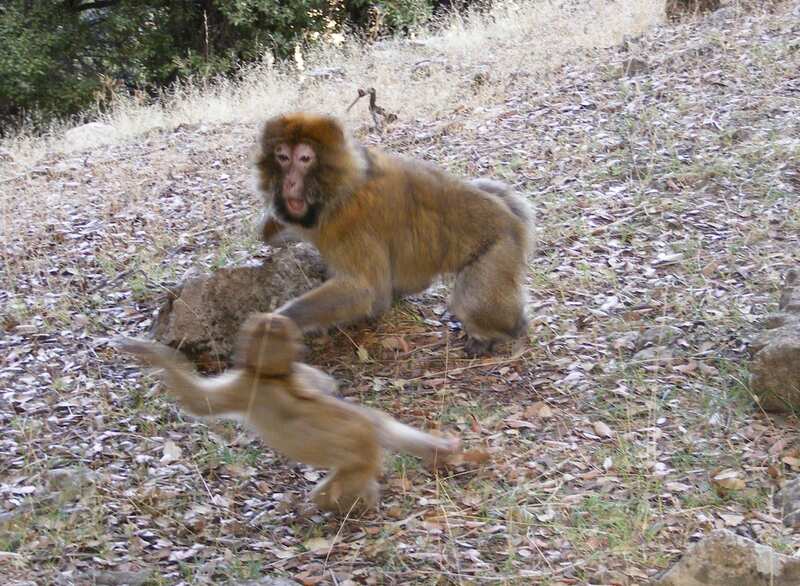 As you see, the life of a Barbary macaque isn´t always a walk in the park. But sometimes it couldn´t be any better, and the disruptions are soon all forgotten.